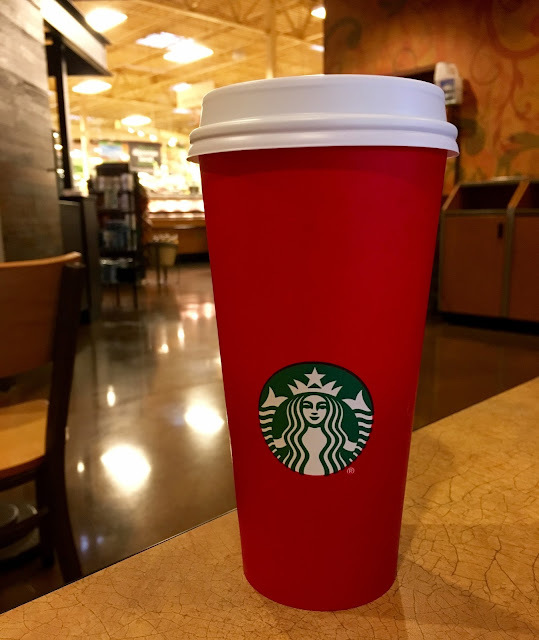 Earlier this month, the country was in an uproar about a red paper cup. It was anti-Jesus, anti-Christian, and anti-Christmas. Some people felt is was the last straw, the deliberate way for a large company to overtake the country, turning it into a den of iniquity. I finally got my hands on one of the controversial, heathen cups. I drank a Sugar-Free Vanilla Latte out of it. And it didn't make me want to sacrifice a baby, or a goat, and I wasn't swarmed by a horde of priests condemning my very existence. I just enjoyed a hot latte while shopping. Sometimes, that's the only thing that happens in this trucker's day.